Researchers suggest that by the late 21st century, 35,000 freshwater lakes — across three continents and 50 countries — could see permanent ice loss from warming winters if the global climate warms beyond the two-degree target set by the Paris Agreement. Cut access to remote communities. Put an end to outdoor sports like ice fishing and hockey. Disrupt feeding and spawning for fish and other aquatic species. Since Canada has almost 14 per cent of the world's freshwater lakes, the country could be particularly hard hit by the warming trend. More than 40 per cent of the lakes with reduced ice levels in the late 21st century will be in Canada, estimates the lead author of the study, York University biology professor Sapna Sharma. The study outlines how a small temperature increase can dramatically change a community's use of lakes. It's estimated that a 1 C annual increase in air temperature could cause millions of people worldwide to lose access to frozen lakes. That will affect remote communities that rely on ice roads across lakes as main avenues for transporting supplies. Increased warming on lakes will also impact populations of marine life such as fish, said Lewis Molot, an expert in lake ecology at York University, as the necessary food sources to sustain current populations may not be available. 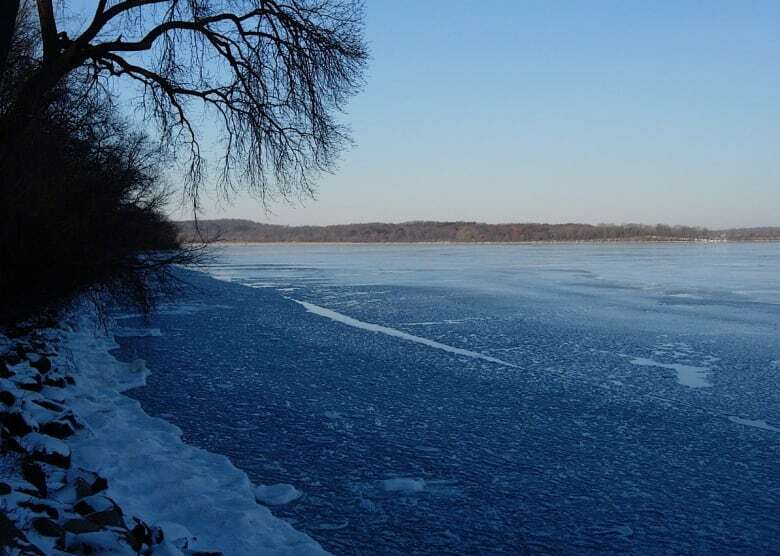 To draw their conclusions, researchers from Canada, the U.S. Germany, Sweden and the U.K. examined 50 years worth of lake-ice records from around the world. The study was published last month in the journal Nature Climate Change, assessing 514 lakes for ice loss during winters. Twenty eight of these freshwater lakes, including Lake Superior, stood out to researchers, as their historical data points to a growing number of winters without the presence of ice since the 1970s. Lake Superior's vulnerability to ice-free winters is due to a combination of its depth and warmer air temperatures, prolonging or preventing the lake's cooling process, researchers said. "We discovered that Lake Superior is the second fastest warming lake in the world of all the lakes that we studied. We were able to link its high summer temperatures to its reduced ice coverage in the winter," Sharma said. A previous study done by Sharma's team in 2015, notes that over a 25 year span, Superior's summer water surface temperatures rose by more than twice the rate of oceans, averaging about 0.34 C per decade. "What worries me is the rapidity at which we may experience the dramatic change," Sharma said. "I'm not sure if we are prepared for a near future without lake ice: culturally, socio-economically but also ecologically."